Prime Minister Tuilaepa Sa’ilele Malielegaoi did not mince words when he blasted the Principal, teachers and parents of students attending Avele College during a closed meeting on Thursday. Held at the Prime Minister’s Office, the media was barred. But a recording of the meeting obtained by the Weekend Observer indicates that the Prime Minister was not happy about the behavior that has led to the closure of the school. He blamed the Principal, Lesaisaea Reupena Matafeo, and the teachers first and foremost. 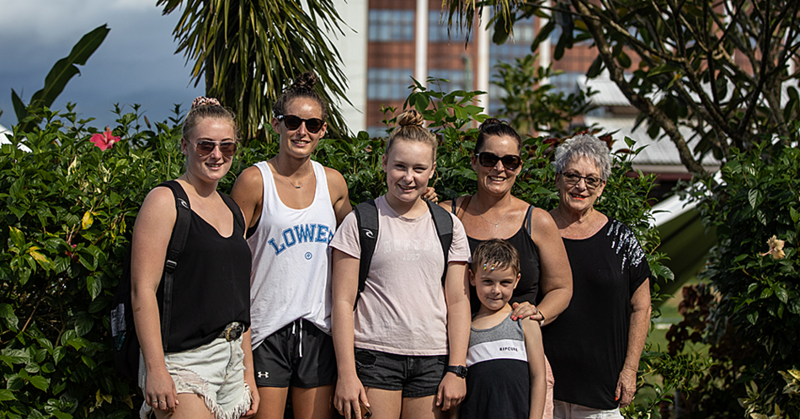 “The reason why we called for this meeting is because we don’t have any more faith in the Principal and teachers of Avele,” Tuilaepa told the gathering. “I have the old Avele (Avele Tuai) Constitution here. It says that whenever there is a school fight, the old students would have to walk around with umbrellas and the little boys have to observe them well. Referring to the decision to close the school a nearly two weeks ago, Tuilaepa said the goal was to protect the students from other schools. “This is a very sensitive issue,” he said. “It is a very difficult issue that is getting worse and out of control. Students have used a lot of very dangerous weapons that harm innocent members of the public. 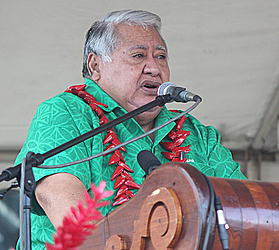 Tuilaepa also referred to incidents in the past. “Just months ago, there was a gathering of schools in front of the government building. It was the aftermath of another school brawl in town, which almost affected Police officers. “At this gathering, I made a promise that the government will take action if another fight breaks out again that puts the safety of members of the public at risk. “The statement I made was general. But even after that, interschool violence emerged again with Avele College being involved again. In Tuilaepa’s opinion, the staff of Avele College did not take his statement seriously. Today, Tuilaepa is adamant that there is no reason to re-open the school, unless he and his Cabinet could be persuaded and convinced that the students would change their ways. 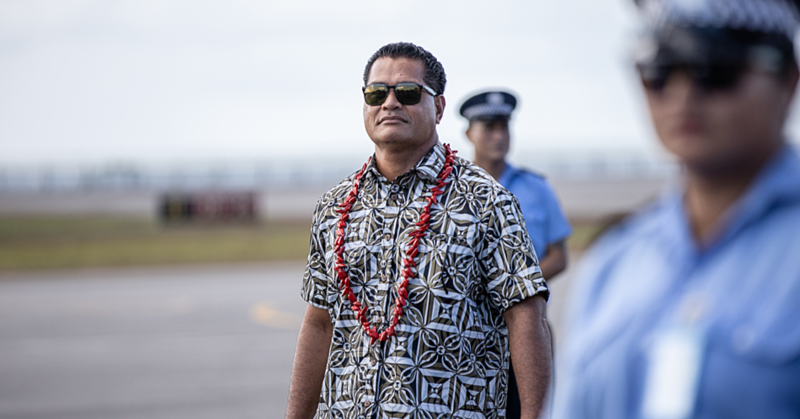 The Prime Minister also blasted Principal Lesaisaea, suggesting that he might be the person bringing bad luck to the school. 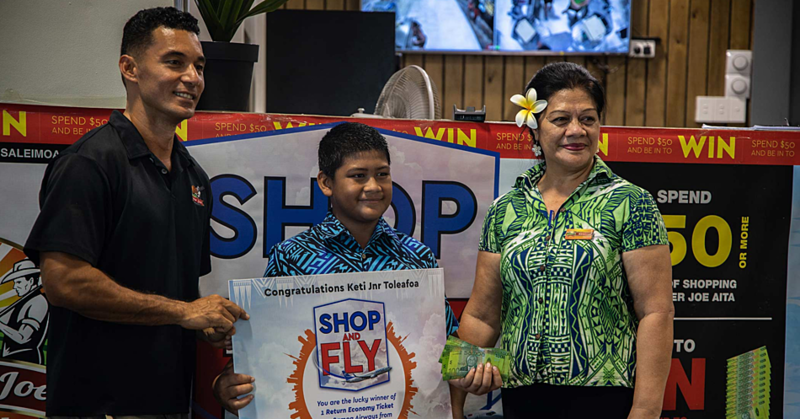 “I don’t know if there’s a curse on you or what?” Tuilaepa said. Tuilaepa said Cabinet would meet on Monday when they will make a decision. In the meantime, he has given the school an ultimatum, to come up with an undertaking that the behavior of the students will change, should the school reopen. “So the fate of the school is in your hands, and you will make the decision for the school. So you have to come up with strong and valid reasons why we should open Avele again. “And also you have to come up with ideas and solutions that can convince us that Avele will no longer be involved in any fights in the future. In response, Principal Lesaisaea acknowledged Prime Minister Tuilaepa for taking the time to explain Cabinet’s decision. “A loving parent is one who speaks the truth and one who corrects the wrongdoings of their children,” he said. Lesaisaea conceded that there was no need for them to build wall so they could hide their faults behind it. He apologised on behalf of the students, teachers, parents and the Old students of Avele College. He then pleaded with Prime Minister Tuilaepa to give Avele another chance.